PLM vendors and differentiation: square the circle? Differentiation and positioning might sounds like a very boring marketing term. But it is actually something that can become very important, especially in a competitive market such as PLM. How to make your company stand out from the crowd? How to explain that your three letter P.L.M. are different from others? How to make sure your target audience understands it and, most importantly, believes in it as much as you do? Do you remember Mad Men episode “Smoke Gets in Your Eyes”? 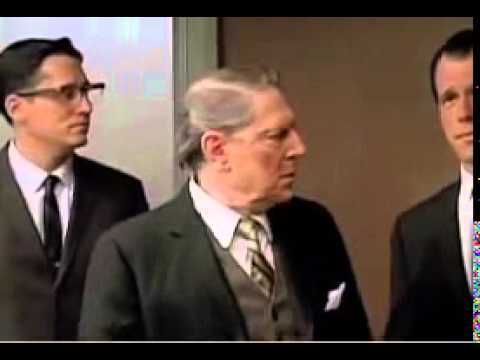 Don Draper explains to execs at Lucky Strike how to re-position their products in lights of new regulation. He said Lucky Strike will become the only manufacturer whose product is “toasted”. I think you can enjoy the video below. My favorite moment in the video is related to the definition of happiness and how a brand can help convey that emotion. You can create a differentiation story by claiming what you do differently, by focusing on your competitors’ weakness or by just saying in loud something that will stand your brand out of crowd. Depends on your technology, product and resource availability, you can choose what path to go. Differentiation is not something that you invent once and you are over with it. Given that businesses are living organisms as your company grows your differentiation must evolve as well. When Arena Solutions (former bom.com) came on the market back in 2000, the story of On-demand services (or how we call it today SaaS) was clear differentiation factor. 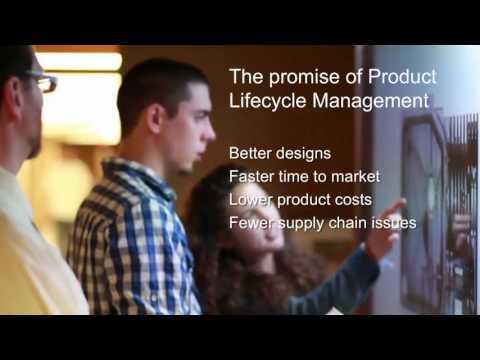 Fast forward in 2012, Autodesk came with “cloud PLM” product PLM360 and it was sound like a differentiation story too. You can read more about Autodesk PLM360 story here – PLM360 and 3 years of cloud PLM innovation. Fast forward in 2016. Now, every PLM vendor is claiming cloud products and it’s hard to differentiate using “cloud” word. These days a trajectory of cloud PLM vendors moved towards finding new type of differentiation factors – 1/ weakness of hosted solutions; 2/ differentiation platforms. Hosted vs. True cloud. This is a name of the differentiation game between cloud PLM providers with only SaaS offering and PLM vendors (mostly traditional) making products available on private, public and hybrid cloud platforms. It can be an important decision factor for some large companies and regulated industries. You can read more about it in my earlier article – PLM is best hosted, SaaS or on-premise… let’s sort it out. I found another interesting example of building differentiation coming from a newcomer in PLM world – PropelPLM. One side of PropelPLM differentiation story is related to technology and platform. It was built on top of Salesforce.com platform. You probably remember my blog about PropelPLM last year –Salesforce platform and cloud PLM differentiation. You can also check another post – Does Salesforce.com ready for PLM? So, does Salesforce.com platform important for users? I don’t know… But PropelPLM can claim it and it is “toasted”. My attention was caught by PropelPLM webinar video. It is relatively short and you can watch it below. I caught a second differentiation message from the video. In addition to building PropelPLM on top of Salesforce.com platform, you can hear “loud” claims about connecting PLM to “customer”. I guess “connect to customer” message is a clear outcome of tight relationships with Salesforce.com services such as communities, etc. It is not clear if user will have to pay for additional services. Based on the comment provided by PropelPLM, navigate to the following link to find information about price and subscription levels. Open source was another “differentiation story” built in PLM space by Aras Corp. Back in 2007, Aras shifted their strategy by introducing Enterprise Open Source strategy. In a nutshell, Aras differentiation was built around free license of Aras Innovator core product and building open source applications around that. Some of open source application were built by Aras Corp itself, but many of them were built using partners’ contribution. Aras is actively positioning against existing PLM vendors – ENOVIA, Teamcenter and Windchill. Read more here. You can read more from my post about Aras PLM differentiation – What is different in Aras PLM? For today’s manufacturing enterprise, the primary job of engineering is business – to create the products that can be sold profitably. This has many implications such as to meet customer requirements, to minimize liability, to deliver on the most sustainable, lowest development costs and the lowest manufacturing costs and other key business considerations. Too many of our competitors and the market analysts love to hype the value of Innovation. But the job of engineering is not to design cool products. It is to create profitable products — i.e. business. A focus on “The Business of Engineering” is understanding the whole lifecycle of the product, and managing all the impact (manufacturing costs, liability, risk, etc.) This used to be called “Design For X” where X = manufacturability, testability, supportability. The following video gives you a fragment from Peter Schroer talk about “Science of Engineering vs. Business of Engineering”. My hunch, Peter Schroer is claiming Aras ability to support “business” side of PLM story for manufacturing companies different from traditional PLM vendors focus on “science of engineering”. I’m not sure other PLM vendors will agree, but for the purpose of Aras differentiation story, the acknowledgement of competitors is not needed. Thanks for watching the webinar Oleg. Pricing for Propel is available on our website at http://www.propelplm.com/products/pricing. Pricing starts at $30 per user per month. Customers don’t have to have Salesforce already, but they’ll get more out of Propel if they have it. In addition to viewing customer, service and product data in one place, customers can use a single place to administer both solutions, including roles and privileges, configured fields, etc. Genuine prospects, press, analysts and partners can request a demo of our solution at propelplm.com. Propel, thanks for the link with price info! I updated the post to reflect it.